While the rest of the world is off at a breakneck pace trying to get ahead of itself, life in Fiji is slower, reflecting the passage of time in seasons not hours and minutes. At Namale it’s like time stands still. The lush environment calms your senses, rejuvenates your spirit, invigorates your adventurous tendencies and whispers to your romantic nature. 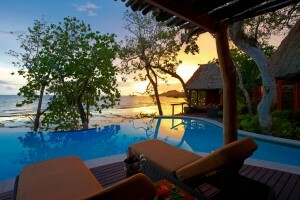 A Namale Resort Honeymoon offers a true haven for honeymoon couples and one of our favorite destinations in the South Pacific, not just for romance but for the entire package! Amazing gourmet meals, the largest range of activities available in Fiji ~ the full range of non-motorized water sports, frisbee golf, bowling, billiards, waterfall/rainforest hikes, horseback riding, mountain bikes, Scuba Diving (some of the best in the world!) and the most amazing Spa in the South Pacific – 10,000 sq ft of pampering that will make you wish you never had to leave (ask us about Moonlight Magic – a dream!). 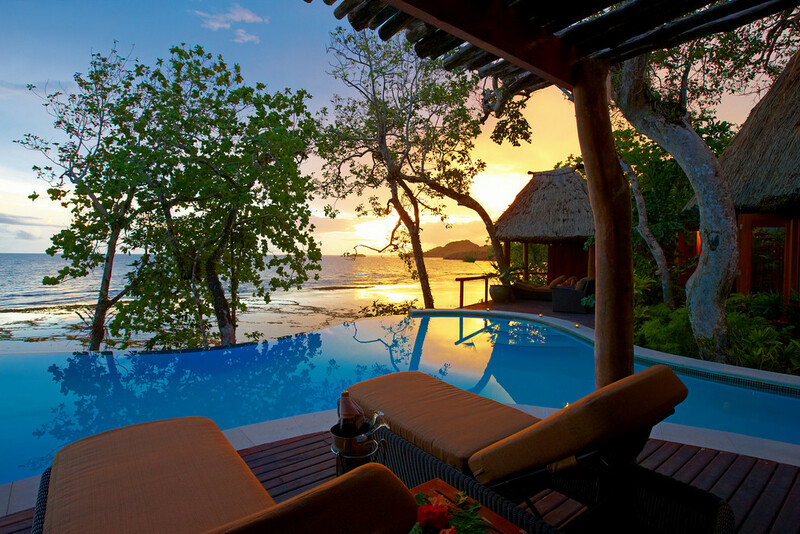 Come discover why Namale is renowned for being the romantic destination of Fiji and one of the top luxury resorts in the world. 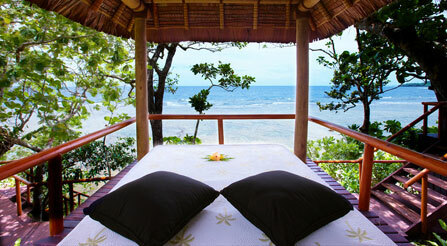 Our latest Honeymoon special includes free nights: Stay 5 nights / Pay 4 nights! First Class departure lounge in Nadi on return – our treat! This special is based upon “T” class on Fiji Airways and is valid for purchase through November 30, 2014. It is good for travel now through December 14 and again from January 15 until June 10, 2015 subject to availability. The special is good at Namale through March 31 though additional specials are available beyond – be sure to ask us about this and also upgraded accommodations such as a Honeymoon Bure or full size Private Villa!